Cities: Capital: Bogota (pop. 8.26 million; 2011). Other major cities include Medellin, Cali, Barranquilla, and Cartagena. Nationality: Noun and adjective — Colombian(s). Religion: 80% Catholic; 13.5% non-Catholic Christian; 4.5% other religious groups (including Seventh Day Adventist, Mormon, Jehovah's Witness, Islam, and Judaism); 2% no religion. Education: Education is free and compulsory for the first 5 years; only 5 years of primary school are offered in many rural areas. Attendance — 90% of children are enrolled in primary school; 74% in secondary schools. Literacy — 93% (2009). Health: Infant mortality rate: 16/1,000. Life expectancy — total population 75 years, men 71.27 years, women 78.03 years. Ethnic groups: Mestizo (58%), white (20%), mulatto (14%). The population of Afro-Colombians and indigenous groups is officially reported to be around 10%. Non-governmental groups (NGOs) and human rights groups estimate this number may actually be 25% or higher. Branches: Executive: president (head of state and government). Legislative — bicameral Congress. Judicial — Supreme Court, Constitutional Court, Council of State, Superior Judicial Council. Three candidates for Prosecutor General are nominated by the president, and one of these nominees is elected by the Supreme Court. This office is not a part of the executive branch; it is an independent agency. Major political parties: Colombian Conservative Party, Colombian Liberal Party, Social Party of National Unity, Radical Change, Alternative Democratic Pole, Party of National Integration, Green Party, and numerous smaller movements. GDP (purchasing power parity; International Monetary Fund (IMF) 2011): $467.6 billion. GDP (current prices; IMF): $321.4 billion. Annual growth rate: 4%-5% (2012 projected); 7.7% (third quarter 2011). Per capita GDP (purchasing power parity; IMF 2011 est. ): $10,155. Industry (14.4% of GDP): Types: textiles, garments, footwear, chemicals, metal products, cement, plastic resins and manufactures, beverages, wood products, pharmaceuticals, machinery, electrical equipment. Agriculture (7.1% of GDP): Products: coffee, bananas, cut flowers, cotton, sugarcane, livestock, rice, shrimp, tobacco, vegetables, corn, potatoes, soybeans, sorghum, cocoa beans, oilseed. Services (46% of GDP): Government services, financial services, commerce, transportation and communication, construction and public works, utilities. Mining (7.8% of GDP): Main products: coal, crude oil, gas, gold, nickel. Trade: Exports (2011 est. ): $61 billion: petroleum, coffee, coal, nickel, emeralds, apparel, bananas, and cut flowers. Major markets — United States, European Union, China, and Ecuador. Imports (2010 est.) — $41 billion: machinery/equipment, grains, chemicals, transportation equipment, mineral products, consumer products, paper products, oil and gas industry equipment, and electricity. Major suppliers — United States, China, Mexico, Brazil, and Germany. Colombia is the third-most populous country in Latin America, after Brazil and Mexico. Sixty-one cities have a population of 100,000 or more; five cities have a population of more than 1 million. Most of Colombia's population is concentrated around the northern and western departments. The nine eastern lowlands departments, constituting about 54% of Colombia's area, are sparsely populated (less than 3% of the population; density of less than one person per square kilometer). Ethnic and cultural diversity in Colombia reflects the indigenous, European (mainly Spanish), and African heritages of its inhabitants. Today, only about 3% of the people identify themselves as indigenous. Afro-Colombians and indigenous groups have faced challenges related to integration into mainstream Colombian society. Around 37% of Colombians live below the poverty line, and the country continues to face large income disparities and inadequate social services. The history of the country, including decades of violence involving outlawed armed groups and drug cartels coupled with human rights violations, has complicated the advancement of government social programs to address these problems. Colombia continues to make progress in improving citizen security, which is an essential building block for stability and democracy. During the pre-Columbian period, the area now known as Colombia was inhabited by indigenous societies ranging from hunters and nomadic farmers to the highly structured economy of the Chibchas, who are considered to have been one of the most developed indigenous groups in South America. Santa Marta, the first permanent Spanish settlement, was founded in 1525. The city of Santa Fe de Bogota was founded in 1538 and, in 1717, became the capital of the Viceroyalty of New Granada, which included what are now Colombia, Venezuela, Ecuador, and Panama. 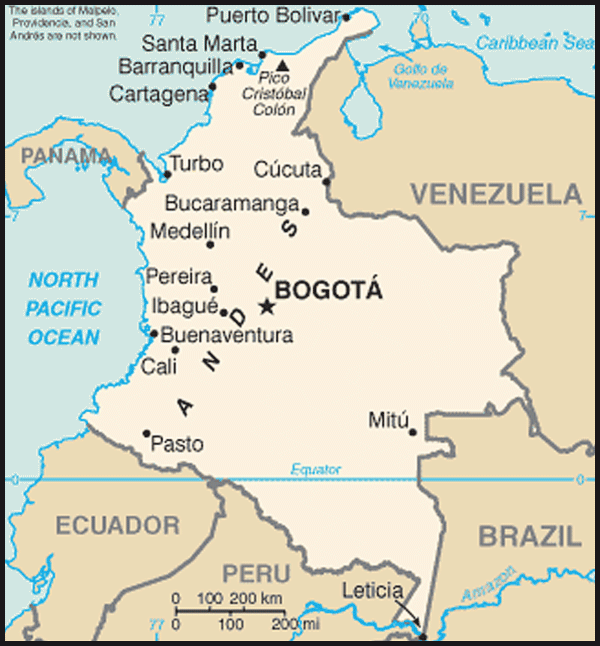 Bogota was one of three principal administrative centers of the Spanish possessions in the New World. On July 20, 1810, the citizens of Bogota created the first representative council to defy Spanish authority. Full independence was proclaimed in 1813, and in 1819 the Republic of Greater Colombia was formed to include all the territory of the former Viceroyalty of New Granada. Simon Bolivar was elected its first president with Francisco de Paula Santander as vice president. Conflicts between followers of Bolivar and Santander led to the formation of two main political parties, Liberal and Conservative. Bolivar's supporters, who formed the nucleus of the Conservative Party, sought strong centralized government, alliance with the Roman Catholic Church, and a limited suffrage. Santander's followers, forerunners of the Liberals, wanted a decentralized government, state control over education and other civil matters, and broader voting rights. Throughout the 19th and early 20th centuries, each party held the presidency for roughly equal periods of time. Colombia maintained a tradition of civilian government and regular, free elections. Notwithstanding the country's commitment to democratic institutions, Colombia's history has been characterized by widespread and violent conflict. Two civil wars resulted from bitter rivalry between the Conservative and Liberal parties: The War of a Thousand Days (1899-1903), which claimed an estimated 100,000 lives, and La Violencia (the Violence) (1946-1957), which resulted in about 300,000 deaths. The assassination of Liberal leader Jorge Eliecer Gaitan in 1948 sparked the bloody conflict known as La Violencia. Conservative Party leader Laureano Gomez came to power in 1950, but was ousted by a military coup led by General Gustavo Rojas Pinilla in 1953. In 1957, Rojas was overthrown by the military with the support of the Liberal and Conservative Parties after he failed to restore democratic rule and was implicated in corrupt schemes. In July 1957, an alliance between former Conservative President Laureano Gomez (1950-53) and former Liberal President Alberto Lleras Camargo (1945-46) led to the creation of the National Front. This established a power-sharing agreement between the two parties ending the partisan violence. Under the agreement, the presidency would be determined by regular rotating elections every 4 years, and the two parties would have parity in all other elected and appointed offices. This arrangement was phased out in 1978. During the post-National Front years, successive Colombian governments made efforts to negotiate peace with the guerrilla organizations that were flourishing in Colombia's remote and undeveloped rural areas. These organizations were rooted in Marxist ideologies and mobilized by student leaders in the 1960s. The groups persisted at low levels of organization until the 1980s, when they gained power. In 1984, President Belisario Betancur, a Conservative, negotiated a cease-fire with the Revolutionary Armed Forces of Colombia (FARC) and the Democratic Alliance (M-19) that included the release of many imprisoned guerrillas. However, the National Liberation Army (ELN) rejected the government's cease-fire proposal. The M-19 pulled out of the cease-fire and resumed fighting in 1985. The army suppressed an M-19 and drug cartel-coordinated attack on the Palace of Justice in Bogota in November 1985, during which 115 people were killed, including 11 Supreme Court justices. The government and the M-19 renewed their truce in March 1989, which led to a peace agreement and the M-19's demobilization and reintegration into society and political life. The M-19 was one of the parties that participated in the process to enact a new constitution (see below), which took effect in 1991. The FARC ended its truce in 1990 after 2,000-3,000 demobilized members were murdered. Many of those killed were members of the FARC political party Union Patriotica (UP), sanctioned by Bentacur during the peace negotiations. Those killed included the UP 1985 presidential candidate and elected congressmen. The identities of the assassins were not entirely clear, but a combination of government, paramilitary, and private entities was suspected. The 1991 constitution brought major reforms to Colombia's political institutions. While the new constitution preserved a presidential, three-branch system of government, it created institutions such as the Inspector General, a Human Rights Ombudsman, a Constitutional Court, and a Superior Judicial Council. It also re-established the position of Vice President. Other significant reforms in the 1991 constitution provided for civil divorce, dual nationality, and the establishment of a legal mechanism ("Tutela") that allows individuals to appeal government decisions affecting their constitutional rights and defined the state as pluri-ethnic, creating special seats for indigenous and Afro-Colombian representation in the Congress. The 1991 constitution also authorized the introduction of an accusatory system of criminal justice to be instituted gradually throughout the country, replacing the previous written inquisitorial system. A 2005 constitutional amendment allows the president to hold office for two consecutive 4-year terms. Since the early 1980s, successive Colombian governments have had to contend with the terrorist and drug-trafficking activities of left-wing guerrillas, the rise of paramilitary self-defense forces in the 1990s, and the violence of drug cartels. Three presidential candidates were assassinated during the election campaign of 1990. After Colombian security forces killed Medellin cartel leader Pablo Escobar in December 1993, indiscriminate acts of violence associated with his organization abated as the cartels fragmented into multiple, smaller trafficking organizations that competed against one another in the drug trade. Guerrillas and paramilitary groups also entered into drug trafficking as a way to finance their military operations. The administration of Andres Pastrana (1998-2002), a Conservative, faced the challenges of increased countrywide attacks by the FARC and ELN, widespread drug production and associated crime, and the expansion of paramilitary groups. The Pastrana administration unveiled its "Plan Colombia" in 1999 as a 6-year strategy to deal with these longstanding problems and sought support from the international community. Plan Colombia was a comprehensive program to combat the narcotics trade, spur economic recovery, strengthen democratic institutions and respect for human rights, and provide humanitarian assistance to internally displaced persons. In November 1998, Pastrana ceded a sparsely populated area the size of Switzerland in south-central Colombia to the FARC's control to serve as a neutral zone where peace negotiations could take place. The FARC negotiated with the government sporadically, while continuing to mount attacks against the military, communities, local authorities, and individuals and to expand coca production, which undermined the government's efforts to reach an agreement. Negotiations with the rebels in 2000 and 2001 were marred by rebel attacks, kidnappings, and fighting between rebels and paramilitaries for control of coca-growing areas in Colombia. In February 2002, after the FARC hijacked a commercial aircraft and kidnapped a senator, Pastrana ordered the military to attack rebel positions and reassert control over the neutral zone. The FARC withdrew into the jungle and increased attacks against Colombia's infrastructure but avoided large-scale direct conflicts with the military. Alvaro Uribe, an independent, was elected president in May 2002 on a platform to restore security to the country. Among his promises was pursuing the broad goals of Plan Colombia within the framework of a long-term strategy. In the fall of 2002, Uribe released a democratic security strategy that employed political, economic, and military means to weaken all illegal armed groups. The Uribe government offered to negotiate a peace agreement with these groups if they would agree to a unilateral cease-fire and to end drug trafficking and kidnapping. In December 2003, the Colombian United Self-Defense Forces (AUC) paramilitary group entered into a peace agreement with the government that led to the collective demobilization of over 31,000 AUC members. In addition, more than 20,000 members of the FARC, AUC, ELN, and other illegal armed groups have individually surrendered their arms. In July 2005, President Uribe signed the Justice and Peace Law, which provides reduced punishments for the demobilized if they renounce violence and return illegal assets, which are used by the government to provide reparations to victims. In January 2007, Colombian leaders presented a new strategy to consolidate gains under Plan Colombia and its follow-on programs. This strategy eventually became known as the National Consolidation Plan (Plan Nacional de Consolidacion, or PNC). The PNC is a civilian-led, whole-of-government approach that builds upon successful Plan Colombia programs to establish state presence in traditionally ungoverned spaces. By improving access to social services, including justice, education, housing, and health; strengthening democracy; and supporting economic development through sustainable growth and trade, the Colombian Government seeks to permanently recover governance in Colombia's historically marginalized rural areas and break the cycle of guerilla violence. In 2008, senior FARC commander Luis Edgar Devia-Silva, aka "Raul Reyes," was killed during a Colombian Government operation; FARC Commander Manuel Munoz-Ortiz, aka "Ivan Rios," was killed at the hands of his own chief of security; and FARC founding member Manuel Marulanda-Velez, aka "Tirofijo," died from a reported heart attack. Since 2000, the FARC has not carried out large-scale multi-front attacks, although it has mounted some operations that indicate it has not yet been broken. Government efforts on peace negotiations with the FARC stalled in 2010. On August 7, 2010, Juan Manuel Santos was inaugurated as President of Colombia. He previously served as Minister of National Defense for Uribe's second presidential term, as Minister of Finance under President Andres Pastrana, and as Minister of Trade under President Cesar Gaviria. The Santos administration laid out an ambitious National Development Plan and has used a legislative majority to pass significant legislation, including a historic victims' law that will benefit approximately 4 million Colombians over the next 10 years with reparations and land restitution. Santos reorganized the executive branch, including new ministries of justice, labor, and the environment and abolished the discredited Administrative Department of Security (DAS) and replaced it with a new civilian intelligence agency. Executive branch reform was mandated, including the redistribution of royalties from mineral/natural resources, fiscal reforms, and the implementation of more tools to improve citizen safety. To improve national policies going forward, Santos also created new presidential programs for Afro-Colombian and indigenous issues. Vice President Angelino Garzon, a respected former labor leader, coordinates human rights and labor right issues. He has promptly condemned human rights abuses and threats against unions. The Santos administration has also maintained positive trends in security consolidation. Security forces captured, killed, or demobilized over 4,200 guerrillas and members of criminal gangs in 2010 and over 3,000 more in 2011. The number of FARC fighters has decreased from 16,000 in 2001 to approximately 8,000 in 2011. The Colombian police and military successfully coordinated operations that resulted in the death of top FARC military commander "Mono Jojoy," ER-PAC (neo-paramilitary group) leader "Cuchillo," and FARC Supreme Commander "Alfonso Cano." Timoleon Jimenez, aka "Timochenko" was named Cano's successor in 2011. The successful operation against Cano was the continuation of a government strategy of pursuing high-value targets (HVTs) to weaken guerilla groups. In August 2011, Santos announced a revised counter-insurgency plan focused on degrading the FARC and its networks through coordinated intelligence, smaller operations, consolidation, and better protection for law enforcement officials. President Santos has also clearly defined his government's position on the possibility of peace negotiations — the FARC must release hostages, stop violence and lawlessness, and renounce the use of force to achieve political ends. Santos re-emphasized, in December 2011, that the unilateral release of hostages was a non-negotiable first step. In February 2012, the FARC announced it would return hostages and cease its policy of kidnapping hostages for ransom, but it remains to be seen whether it follows through. Since 2002, more than 54,000 paramilitaries and guerrillas have demobilized, while kidnappings have fallen 91%, homicides 45%, terrorist attacks 91%, and attacks against oil pipelines 71%. Colombian law enforcement interdicted over 125 metric tons (MT) of cocaine and cocaine base in 2011. As a result of nationwide efforts to improve security, travel on Colombia's roads has doubled since 2000, and tourism has doubled since 2004. The Victims and Land Restitution Law, signed into law by Santos in June 2011, focuses on making reparations available to 4 million victims affected by the country's ongoing civil conflict. This landmark law, the implementation of which began in January 2012, offers monetary compensation to the victims of human rights violations such as forced disappearance or homicide. It also offers monetary compensation or land restitution to people who lost their land as a result of the conflict. If the land is now uninhabitable because it is not secure or is now a natural park or other protected place, compensation will be made in the form of equivalent land in another part of the country. If land restitution does not fully compensate for the loss of land, a monetary award will be made. Victims (and the families of these victims) who were guerillas or paramilitaries will not be eligible for compensation, and it is unclear whether victims of criminal bands or state violence will be eligible for compensation. The law will continue to aid past and current victims through 2021. Building on the "democratic security" agenda of the previous administration, President Santos campaigned on "democratic prosperity," focusing on economic development (jobs), security, and poverty reduction. The Santos administration passed an employment and formalization law, which seeks to create 2.5 million jobs, formalize 500,000 informal jobs, and reduce annual unemployment to single digits, all by 2014. His legislation to reduce the deficit through fiscal discipline measures was passed in late 2011. In 2008, Colombia established an accusatorial judicial system, which should help critical human rights cases progress, but the country still needs to implement judicial reform legislation, provide more resources to the Prosecutor General, and show movement on emblematic human rights cases. In December 2011, 64% of Colombians held a favorable opinion of the United States; 63% approved of President Barack Obama; and 72% favored the U.S.-Colombia Trade Promotion Agreement (CTPA). While security and counternarcotics continue to be key issues, the United States and Colombia are broadening their relationship. President Obama met with President Santos at the UN General Assembly in September 2010 and in Washington, DC in April 2011. The U.S. Congress ratified the CTPA on October 12, 2011, and President Obama signed it on October 24. The agreement will enter into force when Colombia demonstrates compliance with the obligations of the accord. In October 2010, more than 40 U.S. officials met with their counterparts in Bogota for the first High-Level Partnership Dialogue to discuss cooperation on issues like energy, human rights, and scientific exchange. A second round was held in Washington, DC in May 2011 and was expanded to include issues such as culture and education, and social and economic reform. Colombia has taken an active, prominent role in global and regional institutions like the United Nations Security Council (UNSC) and the Union of South American Nations (UNASUR). Colombia chairs the Iran and Sudan Sanctions Committees in the UNSC, has contributed to three UN peacekeeping missions (Haiti, the Sinai, and Sierra Leone), and used its April 2011 UNSC presidency to focus attention on the reconstruction of Haiti. A Colombian is Secretary General of UNASUR until April 2012. Colombia will host the Summit of the Americas in April 2012 and the Pathways to Prosperity Ministerial Conference in October 2012. Additionally, Colombia has been sharing its unique security expertise throughout the region and globally through military and counternarcotics training exchanges with over 20 countries in Latin America, West Africa, and Afghanistan, and has committed to help the Central American Integration System (SICA) members. President Santos also successfully reestablished relations with Venezuela and Ecuador, allowing for greater collaboration on counternarcotics, border security, and trade. Colombia maintains an embassy in the United States at 2118 Leroy Place NW, Washington, DC 20008 (tel. 202-387-8338). Consulates are located in Atlanta, Boston, Chicago, Houston, Los Angeles, Miami, New York, San Francisco, San Juan, and Washington, DC. Colombia's Ministry of Defense is charged with the country's internal and external defense and security. This ministry, under a civilian Minister of Defense, exercises jurisdiction over an army, navy (including marines and coast guard), air force, and national police. Security forces number about 450,000 uniformed personnel — 287,000 military and 162,000 police, and there are plans to add around 20,000 more police and up to 5,000 additional military personnel in 2012. Colombian military personnel often receive training in the United States or from U.S. instructors in Colombia. The United States provides training and equipment to the Colombian military and police through military assistance programs, foreign military sales, and the international narcotics control program. While recognizing that challenges remain, specifically regarding activity by armed criminal groups (BACRIMs), the Santos administration has maintained positive trends in security consolidation and has announced a revised counter-insurgency strategy aimed at further reducing the already-diminished capacity of the FARC. The Colombian police and military successfully coordinated operations that resulted in the death of top FARC military commander "Mono Jojoy," ER-PAC (neo-paramilitary group) leader "Cuchillo," and FARC Supreme Commander "Alfonso Cano." In early 2011, the Colombian Government acknowledged that BACRIMs (a contraction of "bandas criminales") are one of Colombia's most serious security challenges. These groups — which emerged in the past 5 years and contain some members of former paramilitary groups — are active throughout much of the country. As recently as January 2012, the criminal gang of the Urabenos imposed a 48-hour strike in six northern departments. The violence associated with BACRIMs has spilled over into many of Colombia's major cities, leading to an increase in the murder rates in some urban centers since 2009. International organizations have expressed concern over the impact of BACRIMs on civilian populations, particularly Afro-Colombian and indigenous communities, including social control, displacement, and the recruitment of children and adolescents. Several human rights NGOs reported receiving threats from these groups. There are also reports of corruption and co-opting of local officials. President Santos has outlined a public security plan that seeks to address violence in Colombia's urban centers, including funding for youth job programs and additional police. The United States and Colombia continue to enjoy a close counternarcotics partnership. Under Plan Colombia, significant U.S. funding, technical assistance, and material support has been provided to Colombian-led counternarcotics programs aimed at interdicting and eradicating drugs at the source as well as expanding the capacity of Colombian police, military, and judicial institutions. Colombia remains one of the world's largest producers and exporters of cocaine, as well as a source country for heroin and marijuana. According to the U.S. Department of Justice's 2010 Cocaine Signature Program, 95.5% of the cocaine seized in the United States originates in Colombia. Colombia's marijuana is typically not sent to the United States, but feeds internal and Latin American consumption. The Colombian Government, with U.S. support, has made progress in weakening drug trafficking organizations, disrupting the supply of illicit drugs to the United States, and establishing a security presence in former conflict regions. The United States Government found that the area devoted to coca cultivation in 2010 was down 14% compared to 2009, from 116,000 to 100,000 hectares (ha). Crediting sustained aerial and manual eradication operations and aggressive enforcement activity in 2010, the U.S. Government also reported a decline in potential pure cocaine production of 7.4%, from 290 metric tons (MT) in 2009 to 270 MT in 2010 — and a 60% drop from the 700 MT estimated pure cocaine production potential in 2001. Colombia's counter-insurgency/counternarcotics efforts show promise that they will free up areas previously influenced by narco-trafficking and terrorism. Strong eradication and interdiction programs continue to be essential for disrupting narco-trafficking networks and for thwarting cultivation in Colombia's more remote areas. The Colombian Government's National Consolidation Plan, which the U.S. Government supports, is helping to bring the civilian elements of the state to remote, previously ungoverned parts of the national territory. As the state extends its reach, more rural citizens are enjoying access to basic services and protection from FARC influence and intimidation. Some farmers previously forced to grow coca can now safely plant legal, alternative crops without fear of guerrilla retribution. The United States supports locally-led programs designed to confront multiple aspects of the drug trade and assists the Government of Colombia in re-establishing control and the rule of law in areas threatened by drug-related violence. Primary elements of this comprehensive assistance include illicit crop eradication, interdiction operations, alternative livelihoods programs, institution building, and justice sector reform. Eradication efforts are aimed at preventing and destroying illicit cultivation, while alternative livelihoods projects implemented by the U.S. Agency for International Development (USAID) provide economic alternatives to illicit crop production through projects, enterprise development, natural resource protection, institutional strengthening, and promoting access to markets. Work with government and civil society to advance drug demand prevention programs in schools and communities is also an important part of U.S. assistance programs in Colombia. The United States also provides support to improve the efficiency of Colombia's accusatory judicial system. U.S. programs help train judges, prosecutors, and police; promote timely and effective investigations and prosecutions of human rights violations; and support the identification and return of missing remains. The United States and Colombia have an excellent relationship with regard to the extradition of narco-criminals. In 2009, 186 criminals were extradited to the United States, including former AUC leader Hebert Veloza-Garcia (aka "HH") and FARC member Gerardo Antonio Aguilar Ramirez (aka "Cesar"). In 2010, 119 criminals were extradited to the United States, and 195 criminals were extradited in 2011. The Uribe administration (2002-2010) sought to maintain prudent fiscal policies and pursued tough economic reforms including tax, pension, and budget reforms. It opened the oil and gas sector in Colombia, forcing the state-owned petroleum company, Ecopetrol, to compete alongside private sector companies for exploration/production rights. This action led to increased foreign direct investment in the extractive industries and almost a doubling in oil production. The Santos administration has been promoting economic growth through additional economic reforms and by pursuing free trade agreements with other South American and Asian countries, as well as with the European Union, the United States, and Canada. The average unemployment rate in 2011 (Jan.-Nov.) was around 10.9%, down from 12% in 2009. Despite recent improvements in Colombia's economy, the country continues to have a high rate of poverty (37.2%) and one of the highest levels of income disparity in the world. Colombia's economic growth in the last decade can be attributed to an increase in security, resulting in greater foreign investment; economic reforms in the oil and gas sectors; prudent monetary policy; and export growth fueled in part by the Andean Trade Promotion and Drug Eradication Act (ATPDEA) of 2002. Investments as a percentage of GDP were around 28% in mid-2011, which was higher than both Brazil and Chile. Economists projected growth of up to 6% for 2011, and Colombia's third-quarter 2011 GDP growth was 7.7%. It is estimated that the economy will grow between 4% and 5% in 2012. Per capita GDP has doubled since 2002, while unemployment fell from 15.7% in 2002 to 9.2% in November 2011. Colombia has concluded or is pursuing free trade agreements (FTAs) with the EU, Turkey, Panama, South Korea, Japan, Switzerland (July 2011), Canada (August 2011) and the United States (ratified in October 2011 with entry into force expected in 2012). It also has trade agreements with Mexico, Chile, Central America, the Andean Community of Nations, and Mercosur. As the most industrially diverse member of the Andean Community, Colombia has five major industrial centers — Bogota, Medellin, Cali, Barranquilla, and Bucaramanga — each located in a distinct geographical region. Colombia's industries include mining (coal, gold, and emeralds), oil, textiles and clothing, agribusiness (cut flowers, bananas, sugarcane, and coffee), beverages, chemicals and petrochemicals, cement, construction, iron and steel products, and metalworking. There is also a burgeoning service economy comprised of tourism and information technology exports (call centers, software development, and animation). Colombia's diverse climate and topography permit the cultivation of a wide variety of crops. In addition, all regions yield forest products, ranging from tropical hardwoods in the lowlands, to pine and eucalyptus in the colder areas. Cacao, sugarcane, coconuts, bananas, plantains, rice, cotton, tobacco, cassava, and most of the nation's beef cattle are produced in the hot regions from sea level to 1,000 meters elevation. The temperate regions — between 1,000 and 2,000 meters — are better suited for coffee, flowers, corn and other vegetables, pears, pineapples, and tomatoes. The cooler elevations — between 2,000 and 3,000 meters — produce wheat, barley, potatoes, cold-climate vegetables, flowers, dairy cattle, and poultry. While Colombia continues to face challenges in terms of labor rights, it has committed to sweeping reforms under the Labor Action Plan announced by Presidents Obama and Santos on April 7, 2011. The Colombian Government has committed to doubling the labor inspectorate by hiring 480 inspectors over the next 4 years. A significant number of these inspectors will be dedicated to addressing worker rights abuses in the palm oil, sugar, mines, ports, and flowers sectors. Preventive inspections in these sectors and for temporary service agencies have already begun. New legislation also establishes criminal penalties, including imprisonment, for employers that undermine the right to organize and bargain collectively or threaten workers who exercise their labor rights. In November 2011, the Government of Colombia established a separate Labor Ministry and appointed new Labor Minister Rafael Pardo to provide better institutional capacity to protect labor rights. To address issues of impunity in crimes against labor unionists, the Colombian Government exceeded its Action Plan commitments in appointing 100 full-time judicial police inspectors for labor violence cases, and has developed improved training for judicial police investigators and prosecutors on such cases. Priority labor violence cases remain open, but Colombia is showing a commitment to reduce the number of unresolved cases. The Colombian Government has also expanded its protection program for threatened union activists, and reduced the backlog of risk assessments for unionists applying for protection. Colombia is the United States' fourth-largest export market in Latin America behind Mexico, Brazil, and Chile. U.S. exports to Colombia from January through November 2011 were $13.1 billion, up 20% from the previous year. U.S. imports from Colombia from January through November 2011 were $20.9 billion, up 47% from 2010 due to high crude oil prices and the weak dollar. Colombia's major exports are petroleum, coal, coffee, nickel, cut flowers, and bananas. The United States is Colombia's largest trading partner, representing about 42% of Colombia's exports and 26% of its imports as of November 2011. Colombia is the United States' sixth-largest supplier of crude oil (September 2011). Colombia is a fast-growing market with a good investment climate and is increasingly seen as a regional leader in trade and security. Colombia has considerable mineral and energy resources, especially coal and natural gas reserves. Mining and energy-related investments have grown because of higher oil prices, increased demand, improved output, and pro-business reforms, along with improved security conditions. Improved security has allowed for greater economic and social development and helped attract higher levels of foreign direct investment, particularly in extractive industries (crude oil, natural gas, and coal). These reforms have significantly liberalized Colombia's petroleum sector, leading to an increase in exploration and production contracts from both large and small hydrocarbon industries. Ecopetrol was the first Colombian company to earn a spot in the Fortune 500. Natural Gas. In 2011, natural gas reserves totaled 5.4 trillion cubic feet. Natural gas production totaled 1.031 million cubic feet per day on average during 2011 (Jan.-Nov.). Crude Oil. Crude oil production has nearly doubled since 2007, reaching 965,000 barrels per day (bbl/d) in November 2011. Colombia had 2.0 billion barrels of proven crude oil reserves in 2010, the fifth-largest in South America. Refining Capacity. The country's current oil-refining capacity is 325,000 bbl/d, but is expected to grow to 415,000 in 2016 according to the Ministry of Mines and Energy after renovations to its two largest refineries in Cartagena and Barrancabermeja. Coal. As of 2010, Colombia was the tenth-largest coal producing country and the fifth-largest coal exporting country in the world. It is the largest coal producer in Latin America (74.3 million tons in 2010). Colombia also is the largest exporter of coal to the United States. Gems. Colombia historically has been the world's leading producer of emeralds and after a short lull in production it has returned to being a leader in this field. Emerald production rose to 5.23 million carats in 2010, up from 2.12 million carats in 2008. Precious Metals. Colombia is also a significant producer of gold (53.6 tons in 2010), silver (15.3 tons in 2010), and platinum (1 ton in 2010). Foreign direct investment (FDI) inflows totaled $6.76 billion in 2010, with most investment concentrated in extractive industries. FDI was reaching historic levels as of third-quarter 2011; it was U.S. $10.8 billion, equaling its record year in 2008. The Colombian Ministry of Finance predicted that total 2011 FDI might reach U.S. $13 billion. According to Central Bank data, this would represent the largest inflow of FDI in Colombia's history. On average, the United States has been the largest source of new FDI in Colombia, particularly in mining and hydrocarbon projects. The bulk of total new investment in Colombia is in the manufacturing, mining, and energy sectors. The only activities closed to foreign direct investment are defense, national security, and disposal of hazardous wastes. In 1969, Colombia, along with Bolivia, Chile, Ecuador, and Peru, formed what is now the Andean Community. Venezuela joined in 1973 and announced its departure in 2006; Chile left in 1976. In the 1980s, Colombia broadened its bilateral and multilateral relations. The country joined the Contadora Group, the Group of Eight (now the Rio Group), and was the chair-country of the Non-Aligned Movement from 1994 until September 1998. Colombia joined UNASUR in January 2011. Former Foreign Minister Maria Emma Mejia is Secretary General of UNASUR and holds the 1-year position until April 2012. Colombia also joined CELAC (the Community of Latin American and Caribbean States) organized by Venezuela in December 2011 as an alternative to the Organization of American States (OAS). Colombia has traditionally played an active role in the United Nations and its subsidiary agencies. Colombia was elected (unopposed) to a 2011-2012 term as a non-permanent member of the UN Security Council. Colombia is also active in the OAS. Former President Gaviria became Secretary General of the OAS in September 1994, and was re-elected in 1999. In March 2006, Bogota hosted the Sixth Regular Session of the Inter-American Committee against Terrorism. Colombia also hosted the 38th OAS General Assembly in Medellin in early June 2008. Colombia has participated in all five Summits of the Americas (most recently in April 2009) and followed up on initiatives developed at the first two summits by hosting two post-summit, ministerial-level meetings on trade and science and technology. Cartagena, Colombia will be the site of the Sixth Summit of the Americas in April 2012. The International Labor Organization (ILO) elected two Colombian members to its Administrative Tribunal in June 2011; Colombians had not held these positions for the last 13 years. U.S. policy toward Colombia supports the Colombian Government's efforts to strengthen its democratic institutions, promote respect for human rights and the rule of law, foster socio-economic development, address immediate humanitarian needs, and end the threats to democracy posed by narcotics trafficking and terrorism. Promoting security, stability, and prosperity in Colombia will continue to be long-term American interests in the region. In 1822, the United States became one of the first countries to recognize the republic of Colombia and to establish a resident diplomatic mission in the country. During the Pastrana administration (1998-2002), relations with the United States improved significantly. 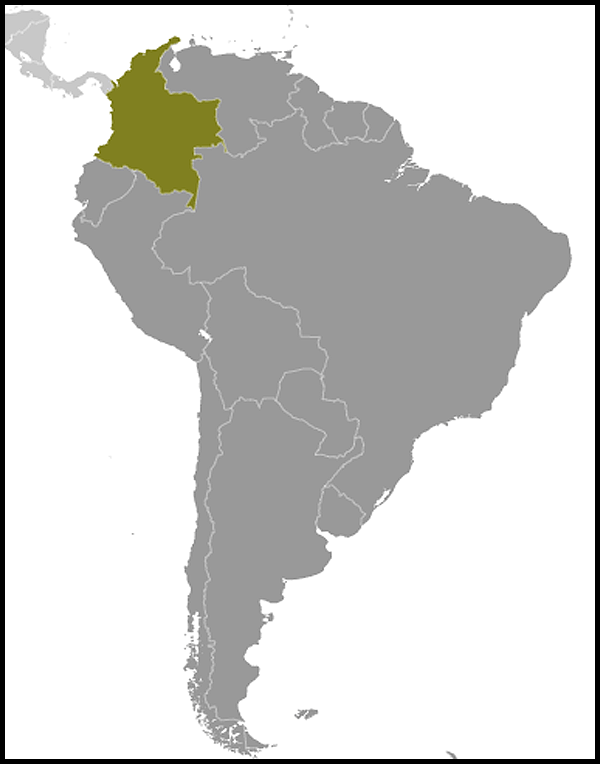 The United States responded to the Colombian Government's request for international support for Plan Colombia (see above) by providing substantial assistance — close to $8 billion through FY 2012 — designed to increase Colombia's counternarcotics capabilities and expand and consolidate government presence. This assistance also went toward improving the livelihoods of the most vulnerable Colombians by providing sustainable social and economic opportunities, protecting human rights, strengthening rule of law, and making governance more transparent, participatory, and accountable. Recognizing that terrorism and the illicit narcotics trade in Colombia are inextricably linked, in 2002 the U.S. Congress expanded statutory authorities that made U.S. assistance to Colombia more flexible in order to better support President Uribe's campaign against narcotics and terrorism. The United States continues close cooperation with the current administration of Colombia on these issues. USAID has been working for almost 50 years in delivering socio-economic and humanitarian assistance to Colombia. In April 2009, the U.S. Government signed a multi-year country assistance agreement with the Government of Colombia, allotting $614 million through 2011. The agreement has been providing support to Colombia's government, civil society, and private sector efforts in creating viable options for citizens in the licit economy, particularly in the agricultural sector; supporting the implementation of reforms in land restitution, reparations for victims and vulnerable populations, and reintegration of ex-combatants; promoting respect for human rights and the rule of law; and addressing environmental issues, such as climate change, in one of the most diverse countries in the world. Today, the U.S. Government estimates that there are 63,000 U.S. citizens living in Colombia and 28,000 U.S. citizens visiting Colombia in any given month. Approximately 250 American businesses conduct at least some operations in Colombia. From 1995 to 1997, the United States and Colombia signed important agreements dealing with environmental protection, asset sharing, and chemical control. A notable maritime ship-boarding agreement signed in 1997 allowed for searches of suspected drug-running vessels. 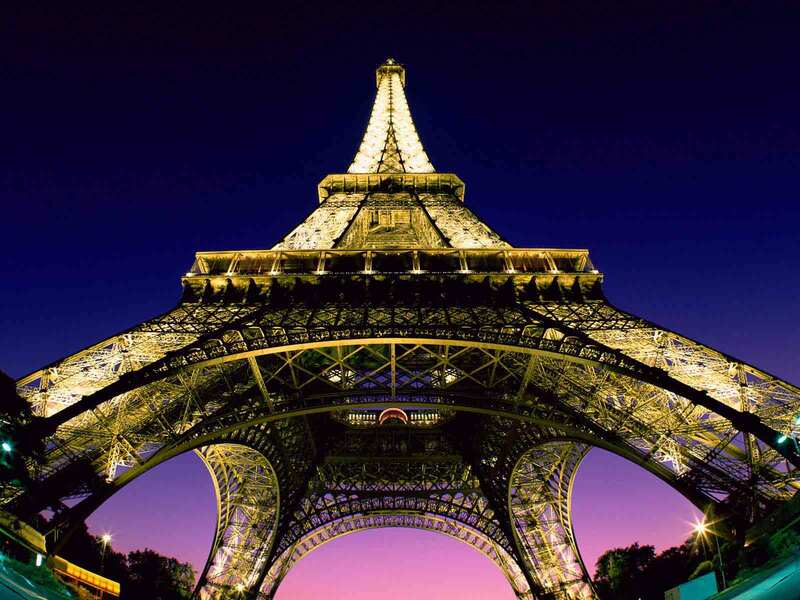 In 2008, the countries signed a memorandum of understanding on renewable and clean energy. In June 2010, the United States and Colombia signed a Science and Technology Agreement to promote innovation in both countries. The two entered into an Open Skies Agreement in May 2011, marking the 100th Open Skies Agreement signed by the United States. The U.S.-Colombia Trade Promotion Agreement was signed in November 2006 and ratified by the U.S. Congress in October 2011. Once implemented, the agreement is expected to enable U.S. businesses to better compete with other countries that have already established FTAs with Colombia.